I have seen request and many questions like “How to setup a single node cluster or multi-node cluster from scratch ?” So I thought lets put one post on this as well apart from day to day issues or work. This article is to configure HDP stack but same can help you to setup for other distribution like CDH or MapR. 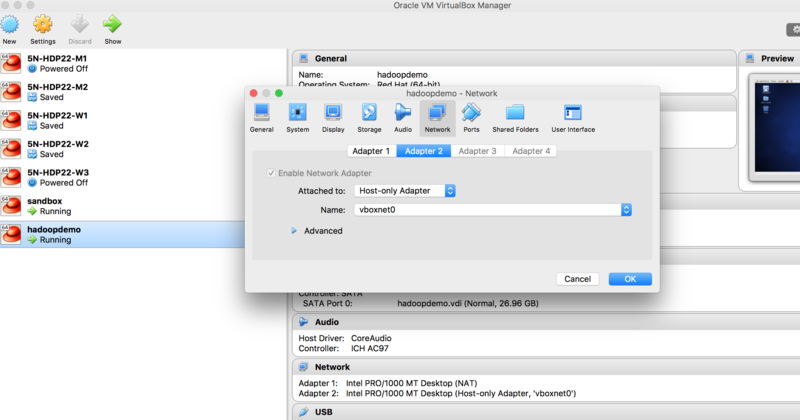 First we should have and VM to work with and one OS. 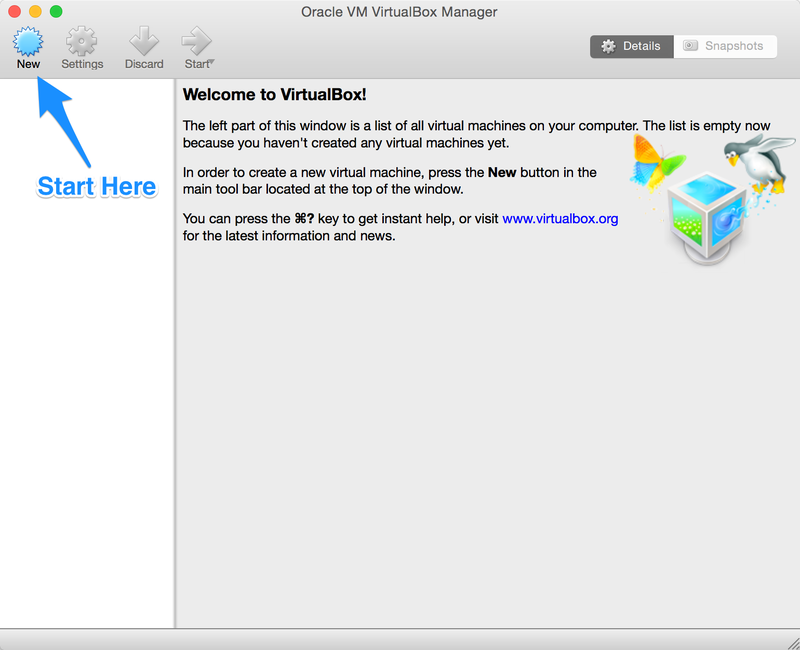 I’m using VirtualBox but VMware would work as well in the same way. 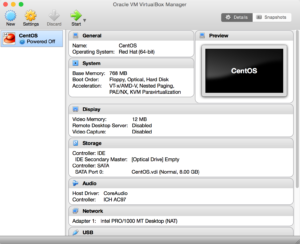 Step 1 : You can download VirtualBox from https://www.virtualbox.org/wiki/Downloads and it is free open source virtualization software that allows you to easily create virtual machines.Once you have installed VBox and up and running then we need to download any 64 bit OS like centos from http://mirror.centos.org/centos/6/isos/x86_64/. 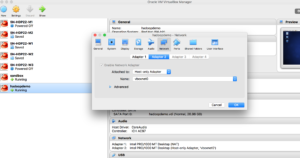 Step 2: Create a virtual machine according to your resource configuration. Name your VM as per your convenience, but make sure you choose Linux as the type and RedHat(64-bit) as the version. 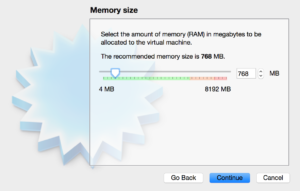 Next, choose the amount of memory you’d like to reserve for this VM. I would you to chose 4 GB and default would be 756 MB. 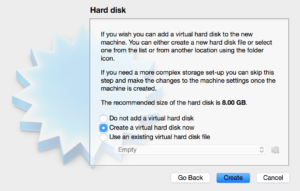 Now you need to select whichever type of VM hard disk type you’d like. The next window will ask you if you’d like dynamic storage or fixed storage. Select dynamic. 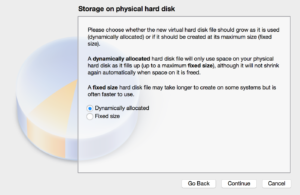 Dynamic storage means that VirtualBox will only use the amount of space, on your real hard drive, that the VM actually needs until it reaches the maximum we allot. This will also allow us to add more to the VM later if we need it. The next prompt is to allot the amount of hard disk space for the VM so here you can select 30 GB or more as per your requirement. 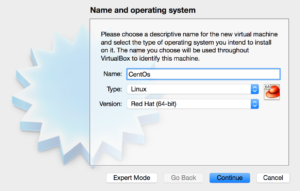 Now you have almost setup your virtual machine and it’s time to install centos with VM. 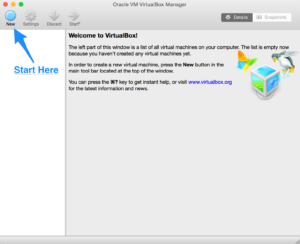 Your VirtualBox window should now contain a VM that is powered off. Double click on it to start it up. You’ll be prompted to point the manager to the iso we downloaded earlier. Locate the file and click start. 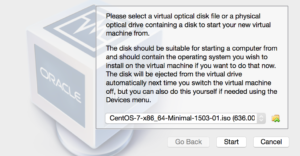 VirtualBox will start the iso and you will be prompted to select an install mode. You can select but it defaults to Test this media & install CentOS 7. Next, The install process will begin by asking you to select your language of preference. Once you’ve done that the next prompt will be to select the install destination. Click on the Install Destination label and then immediately click Done at the top of the next window.and now you can click on begin Install. Now, the install will begin, but there are still two more steps we need to take. The next window will give us the opportunity to set the root password or to add an additional account. Select root password and click on Finish configuration. The installer will complete a few more things and then you’ll see a message at the bottom that says Complete and will find a button to reboot the VM. Go ahead and click Reboot to startup the VM for the first time.Once the VM reboots you’ll be able to log in. 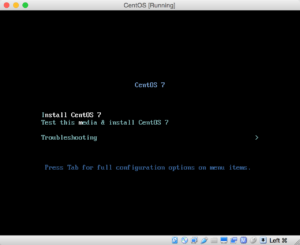 Now, after installing centos as a virtual machine you have to prepare your environment for ambari or HDP installation. First you need to check your network adapter and change as per following settings. If you do not have ifcfg-eth1 then you can copy eth0 file to the same location and then change it accordingly. All hosts in your system must be configured for both forward and and reverse DNS.Using a text editor, open the hosts file on every host in your cluster and add a line for each host in your cluster. The line should consist of the IP address and the FQDN. Note :Do not remove the following two lines from your host file, or various programs that require network functionality may fail. Modify the HOSTNAME property to set the fully qualified domain name. The authenticity of host 'sandbox (192.168.56.43)' can't be established. RSA key fingerprint is 06:f2:3a:10:8a:34:94:94:4e:97:fd:b6:01:91:1d:8f. Warning: Permanently added 'sandbox,192.168.56.43' (RSA) to the list of known hosts. http://centos-hn.viettelidc.com.vn/6.9/updates/x86_64/repodata/b2783bd71ec8cd148a2c5dacd31f4326cfbc0de737f400c3f0d3e90fc281a6a6-filelists.sqlite.bz2: [Errno 14] PYCURL ERROR 22 - "The requested URL returned error: 403 Forbidden"
Now you should be happy as you have successfully installed and setup ambari, so next step is to start it but before that you need to run mysql jdbc setup and then start ambari server and agent.